NYC Health + Hospitals has announced the expansion of its eConsult system, a tool that makes it easier for primary care providers and specialists to communicate about patients. As of September 2018, the system had already surpassed 52,000 referrals reviewed and triaged. The expansion means that 81 different specialty clinics—a number that will continue to grow—are participating, up from just eight specialty clinics in the early stages of the health system’s eConsult pilot. The eConsult program is part of the public health system’s ongoing transformation efforts to improve quality and value. 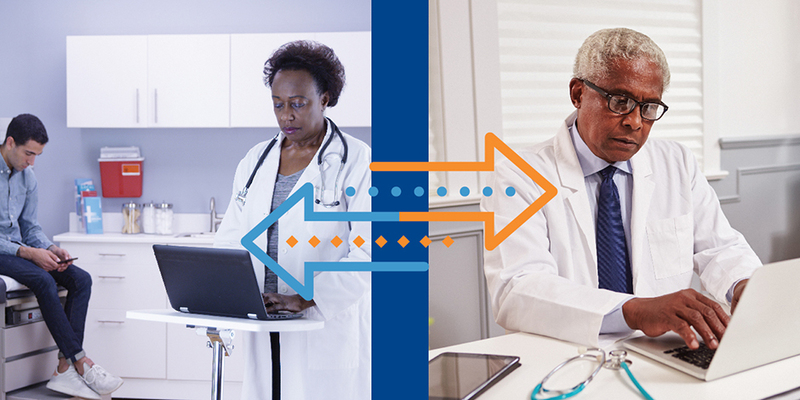 Through the tool, primary care providers and specialists can communicate and co-manage patients when appropriate. The system also helps physicians more efficiently connect patients to specialty care when needed. More than 4,100 referrals are currently being reviewed and managed per month at seven hospitals: NYC Health + Hospitals/Bellevue, /Coney Island, /Harlem, /Kings County, /Jacobi, /Lincoln, and /Woodhull. The eConsult system was initially piloted at two hospitals starting in August 2016. “When I was in Los Angeles, we saw how successful an eConsult program can be in supplementing and strengthening primary care, and implementation here in the largest public health system in the country is recording similar success,” said Mitchell Katz, MD, president and chief executive officer of NYC Health + Hospitals. “We are pleased to expand our eConsult system to continue to improve access for our patients.” The 4,100 referrals per month in 81 specialty clinics as of September is up from 2,300 per month in 29 specialty clinics as of January, when Dr. Katz started. The eConsult system addresses the high demand for specialty care, especially in fields where specialists are in short supply. The system is integrated through NYC Health + Hospitals’ electronic health record systems, streamlining documentation. The eConsult system is a referral management approach that streamlines the referral process and creates a new mechanism to facilitate provider-to-provider communication, with the principal benefit of improving access to specialist expertise. When a primary care provider’s patient has a health concern that would typically be treated by a specialist, the primary care provider can send a message through the system and expect a quick response from the specialist regarding the next steps for the patient as well as timely referral scheduling when needed. In some cases, the response is guidance that will empower the primary care provider to treat the patient in the primary care setting. For example, the specialist might recommend the primary care provider to prescribe a medication, as well as present guidance for both the provider and the patient. The response might also include guidance about tests and imaging studies that the patient should undergo before determining if a specialty visit is needed. When a specialist visit is necessary, the specialty clinic contacts the patient directly to schedule an appointment. In the past, the first visit with a specialist might be very brief, resulting in direction for the patient to undergo testing; eConsult is eliminating those inefficient visits, which frees up time for maximally effective visits. For example, a patient at NYC Health + Hospitals/Woodhull visited his primary care physician, who identified a thyroid nodule. The physician reached out via eConsult to an endocrinologist, and the primary care doctor was then able to order the necessary tests before the patient’s initial visit to the endocrinologist. While the specialist visit in this case was necessary, the eConsult process helped the patient receive a definitive diagnosis in much less time, which in some cases can save lives. Evidence from the early phase of the program (December 2016 to June 2017) suggests that wait times for specialty care decreased as a result of eConsult. For patients referred for an in-person specialty care visit, the median wait time decreased from 50 days before eConsult to 28 days in June 2017. For patients who needed a high urgency specialty visit, the median wait time for a visit over the same time period decreased from 30 days to 16 days. Extremely urgent cases continued to be triaged even faster. “By having a significant number of patients managed in the primary care setting and by reducing the number of inefficient first visits to specialists, we have freed up valuable appointment time with our specialists, which makes a huge difference for patients,” said Hannah Byrnes-Enoch, MPH, director of specialty care transformation in the Office of Population Health. Over this period, at least one eConsult referral was submitted by 3,261 different providers.